Every year Easter draws a myriad of vacationers and travelers to Lugano. 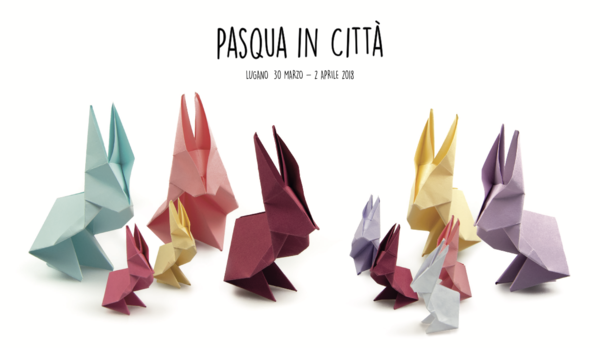 In order to add some zest to the picturesque city center, the City of Lugano and the Ente Turistico del Luganese have organized an event called "Pasqua in Città" (Easter in Town), which will take place from Friday through Monday. Every day from 11:00 to 18:00 "Pasqua in Città" will transform the center of Lugano into a cheerful stage with the main squares ready to welcome a fun entertainment programme. You will have the opportunity to taste and buy local products and browse along hundreds of stalls in Piazza della Riforma, via Nassa, Piazza Dante, via Pessina and via Soave. Various street animations and typical musical groups will be animating the heart of the city. Locals know that at Easter Lugano turns into a big outdoor party to welcome the spring. The famous "Tana Rabbit" in Piazza Riforma offers various activities for children such as egg decorating, face painting, tattoos. Three giant rabbits offer sweets and chocolate.